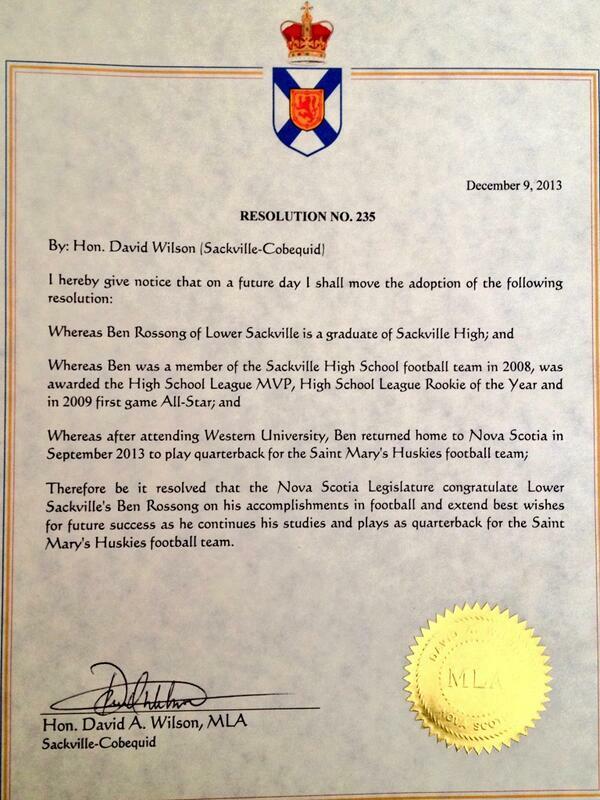 #Sacktown Quarterback Rossong Gets Shout-Out From Province House #SMU | Sack-Vegas!!!! Congrats, Ben, that’s going to be a nice addition to a trophy wall! Posted by Sacky on February 12, 2014 in Uncategorized.